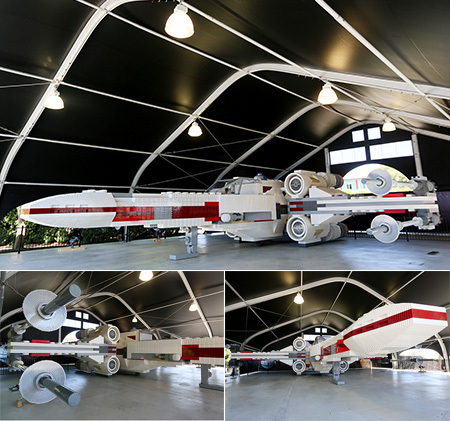 Tomorrow (Thursday, June 13, 2013) members of the Rebel Legion and 501st Legion will unveil the largest Lego model ever built when they present the Lego Star Wars X-wing star fighter at our very own Legoland California theme park. The massive replica took 32 Master Model Builders, five million LEGO bricks and more than 17,000 hours to complete. The LEGO model weighs nearly 46,000 pounds, stands 11 feet tall and 43 feet long, with a wingspan of 44 feet. At 5:41 AM on June 7, 2013 a white male in his 20s was found lying on the beach near Ocean and Beech Streets in Carlsbad. He was in need of medical aid, according to the Carlsbad Police Department. Fire and police units responded to the area of Ocean and Beech in Carlsbad. On arrival the fire department rendered medical aid and transported the male to Tri-City Medical Center where the male was pronounced dead. Carlsbad Police are currently investigating this as a “suspicious death,” but offered no further information. So far the male’s identity is unknown. Carlsbadistan’s newest Village bike shop, Pedego Carlsbad, wants you to ride a new bike, but they’re not going to make you pedal if you don’t want to. Not with the Pedego e-bike. The beach cruisers Pedego sells feature an electric “brushless geared hub motor” built into the rear wheel that allows riders to pedal if they want or go up to 20 MPH for 30 miles without doing much more than twisting the throttle. With a little help on the pedals the lightweight lithium batteries will last even longer. And, the best part, unlike a Tesla, when the battery dies you can always simply pedal the bike home. Pedego Carlsbad launched in May 2013 by the husband and wife team of John and Denise Buckingham. [They] decided to open the electric bike store after John became the proud owner of a Pedego electric bike. “I live four miles from the beach and loved riding my bike there, but the hills made it a challenge to do regularly, so I looked into electric bikes. I was so impressed by the quality and comfort of the Pedego bikes that I wanted to share the experience with as many as possible,” John explains. After taking one of the Buckingham’s bikes out for a spin we’d have to agree. The electric motor is quiet and when you twist the throttle the bike suddenly surges forward like someone else is doing the pedaling. It seemed almost magical. But don’t take our word for it. Try one out. Pedego rents bikes $14 a hour or $25 for a tandem. The worst part about renting a Pedego, however, is having to return it. If you want to buy one you can check out all the options right here. 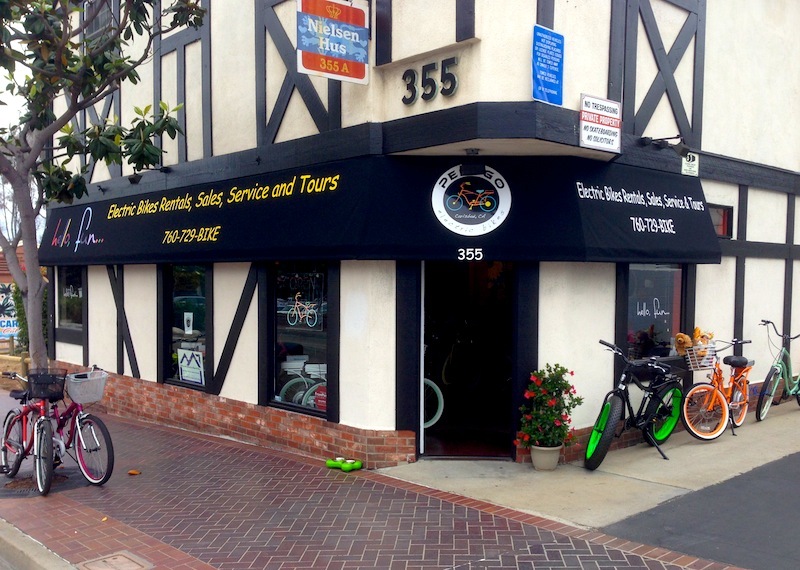 Pedego Carlsbad is located at 355 Carlsbad Village Drive, in Carlsbad, California across the street from the Village Faire. They are open daily from 10 AM to 7 PM. 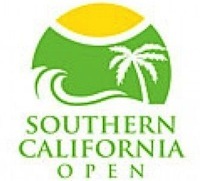 It appears that the La Costa Resort & Spa is no longer interested in hosting the their annual Women’s Tennis Association tournament after 2013’s Southern California Open, according to a story on 10balls.com. Daily Tennis News has learned that the La Costa resort, where the event is staged, does not want to host the event beyond 2013, which makes it very likely that the tournament will move out of San Diego County, as there are no private facilities that are big enough to be able to host a WTA Premier level tournament. Guess that means if you want to see pro tennis locally, you better go this year. Click here to buy tickets for 2013. For the rest of the story, click the link.